The Caterpillars of this species are thought to be leaf-miners. The adult moths have dark brown forewings, each with a pale mark half-way along the costa The hindwings are pale brown with broad fringes. The head is yellow and hairy. 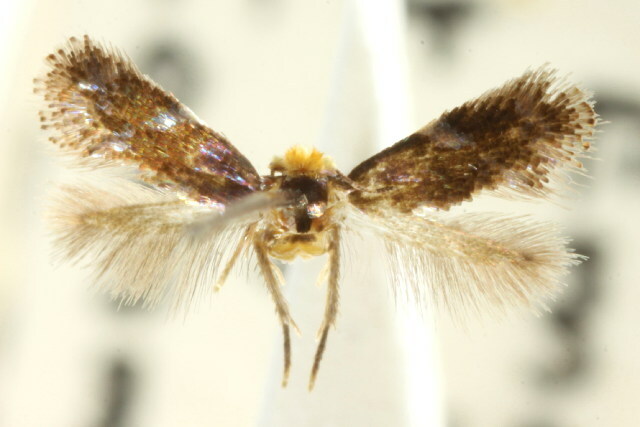 The wingspan is about 0.5 cm.